Making furniture out of recycled wood is a great way to create unique structures and help the environment at the same time. 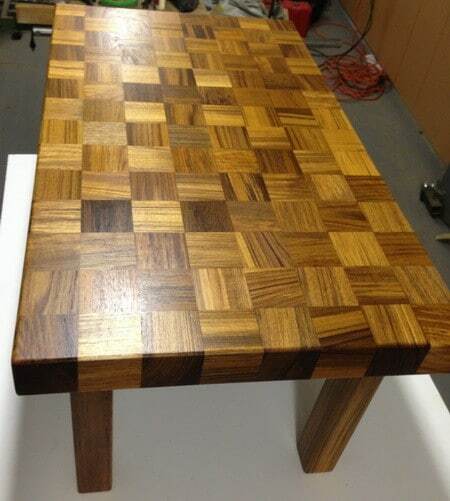 Here is a simple and fun woodworking project that was made from recycled Teak wood. This one-of-a-kind coffee table was made completely with a Teak wood that was scrap and was going to be thrown away. 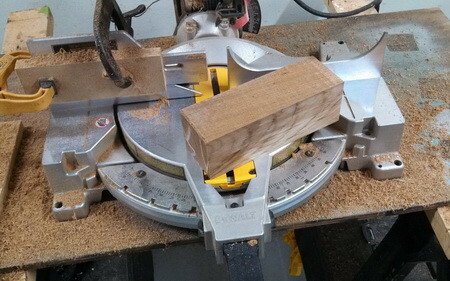 Teak wood is a great wood to use in woodworking but it is expensive and not readily available most of the time. If you have any type of scrap wood or looking to make a DIY coffee table yourself, this is an easy way to build one yourself with minimum skill. Here is all the Teak wood that was going to be tossed in the trash. 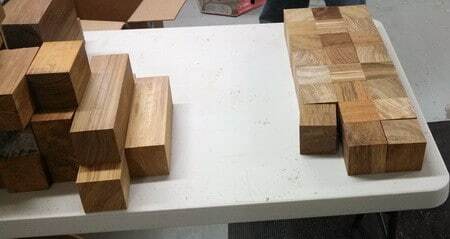 We took the pieces of Teak and cut them to size using our wood saw. 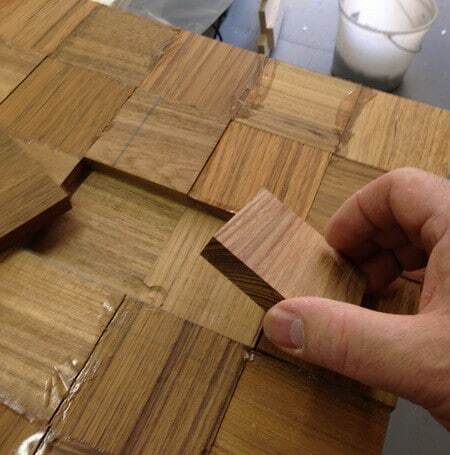 We cut the teak wood into perfect squares to be made into the top of our coffee table. 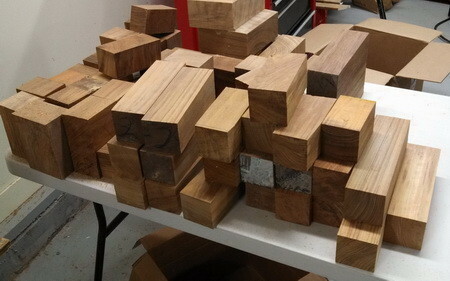 Here are the Teak wood squares cut into perfect cubes and put next to each other for the top of the table. 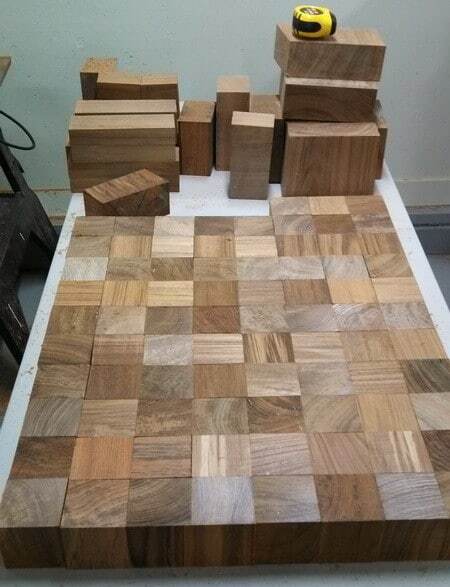 All of our Teak squares are arranged to be wood glued for our DIY coffee table. We glued each cube together and added our large wood clamps to hold everything together while the glue dried. 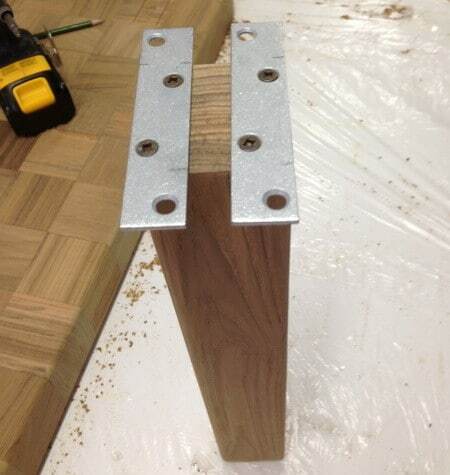 While the glue was drying, we cut our table legs to size and added a metal bracket to attach to the tables top. 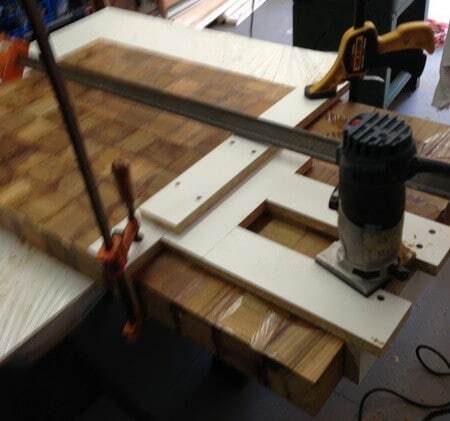 Once the glue was dry we routed the bottom of our table top to make an area for the legs to attach. Here is part of the section removed on the bottom of the table to attach the legs. 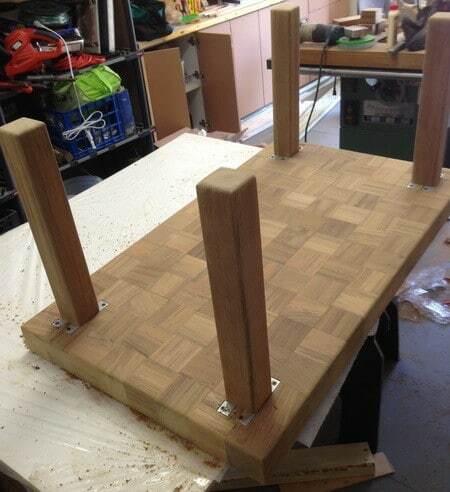 We attached the table legs to the bottom of the table using wood glue and extra thick wood screws. The table was then sanded and sealed using multiple coats of wood sealer and stain. Here is our beautiful recycled Teak wood coffee table finished and in the living room.